Initially home to an indigenous population known as the Guanches, over the years the Canary Islands were visited by Phoenicians, Carthaginians, and the Greeks. King Juba was credited with discovering the islands for the Western World during the 1st century AD. 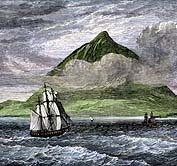 In the early 15th century, the expedition of French explorers Jean de Bethencourt and Gadifer de la Salle, nobles of Henry III of Castile, sparked the Castilian conquest of the islands. In 1448, the lordship of Lanzarote Island was sold to Prince Henry the Navigator of Portugal, an act that was not accepted by either the Castilians or the natives. Despite the opposition of both parties, Pope Nicholas V declared the Canary Islands to be under Portuguese control - which ultimately caused the original crisis to swell into a revolt. The natives of the Canary Islands resisted the Castilian invaders for nearly a century, until the Treaty of Alcacovas was signed in 1479 settling the disputes, which included transferring control of the Canary Islands to the Castiles. Complete peace amongst the natives and Castiles was not achieved until 1495, and the Canary Islands were incorporated into the Kingdom of Castile following the reconcilement. Under the ruling of the Castiles, a new economic model was imposed onto the islands based on single-crop cultivation that included sugar cane and then wine. Santa Cruz and Las Palmas became important stopping points for Spanish conquerors, traders, and missionaries as they navigated their way to the New World, and this trade route brought great prosperity to the islands. It wasn't long before the islands became an attractive stopping point for merchants and adventurers from all over Europe, in addition to pirates and privateers. 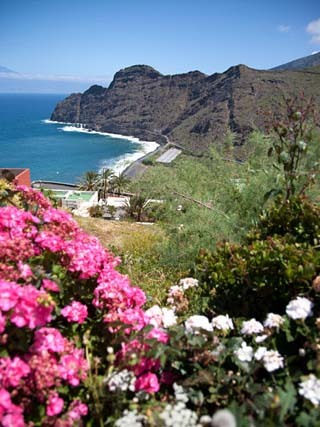 Both Las Palmas and Santa Cruz were attacked throughout the 17th century. A recession hit the Canary Islands during the 18th century due to stiff competition from Spain's American colonies, and the islanders sought a new cash crop known as cochineal in an attempt to save the faltering economy. 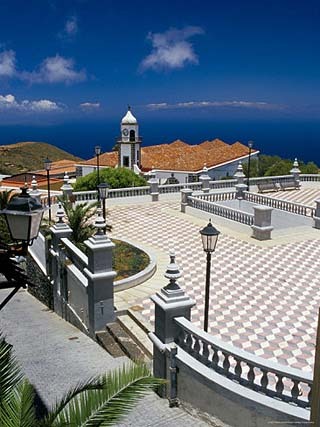 By the end of 18th century, many of the Canary Islands' residents had emigrated to various Spanish American territories. 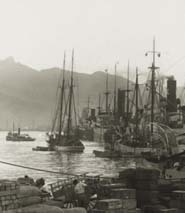 A rivalry flared between the cities of Las Palmas and Santa Cruz at the beginning of the 20th century, in which both vied for capital status, and in 1927 the islands were divided into two provinces. The rivalry continues to this day. 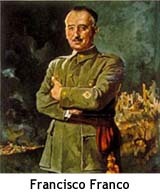 Francisco Franco was appointed General Commandant of the Canaries in 1936, and quickly joined a military revolt that ultimately turned into the Spanish Civil War. Some years later an opposition to Franco's regime began to organize, and the citizens of the islands created various nationalist, leftist parties. Upon Franco's death in 1975, a pro-independence movement formed, and a democratic constitutional monarchy was established in Spain, resulting in the Canaries autonomy. 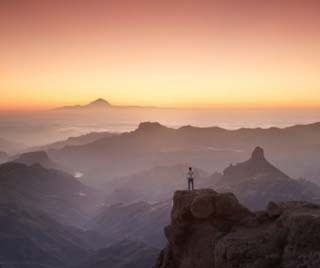 Located off of Africa'snorthwestern coast, the Canary Islands are one of the most popular tourist destinations in the world, especially with Europeans. The archipelago includes seven major islands, all remnants of very steep, extinct volcanoes, and weather conditions here are considered perfect, with some of the best beaches on the planet. Popular attractions include Maspalomas in Gran Canaria, and Teide National Park - home to the third tallest volcano in the world, Mount Teide.